Not yet a year old, but already Insomniac's new talent championing In / Rotation imprint has already blessed us with 25 releases from across the forefront spectrum. With previous releases ranging from Left / Right's blissed bass "Bloom" to LA Riots' late night slinky techno "House Philosophy", they now go full-on D&B mode with Consouls' cohort Des McMahon who delivers two white knuckle wipe-outs. 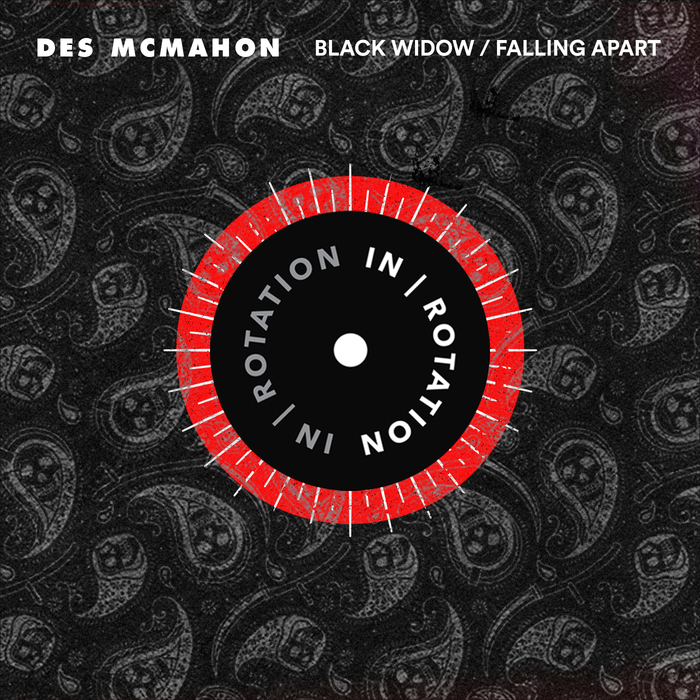 "Black Widow" funks with a perfectly loosened rattle, an evocative vocal texture and well-tamed bass growls while "Falling Apart" provides more of a tunnelling, big breeze effect with mildly liquified pads and a warm sense of focus. Think late 2000s Hospital but with modern day production muscle. In / Rotation = heavy rotation.